Stocked with brand new merchandise, including badges, stickers and limited edition black and silver caps! T-Shirts are on the way soon too, so hope you drop by for a peek and pick up a copy of our Treason EP; via post or by digital download, which includes an exclusive Orpheum Official Store wallpaper. ORPHEUM are very proud to announce that they have been chosen to open the ROC(K)TOBER!! FESTIVAL to be held at the Watford Colosseum on Saturday 13th October. 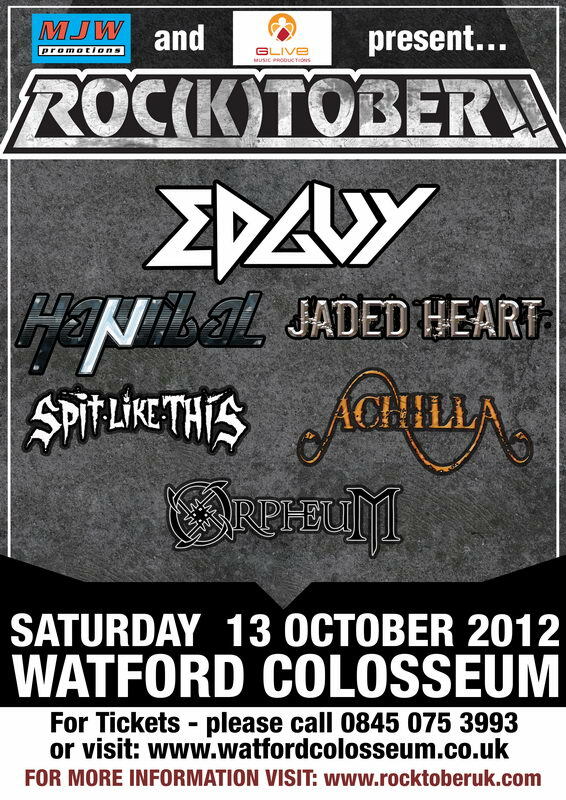 This event will be headlined by German power metal band Edguy as part of their 2012 Age Of The Joker Tour. 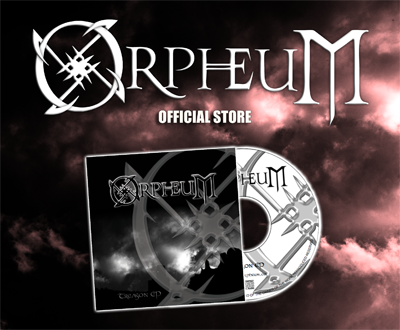 Orpheum will be bringing their unique blend of gothic progressive metal to the proceedings on the back of their Treason EP release and recent support slots with November-7 and Achilla. Huge thanks to all who came along last night to the Boston Music Room to support Orpheum! We had a fun night with you and enjoyed unveiling our brand new banner, hanging with pride behind us on stage. Big thanks once again to Achilla for asking us along and putting on a great show! Awesome set from the guys at Neuronspoiler, really cool guys and put on a great show and a great opener from Human Wave Attack! Can’t wait to see you all again in August!